The Bay Area is a biker’s paradise, whether you’re a dirt path lover or a smooth pavement cruiser. But so many options can be overwhelming and lead an avid cyclist to pedal down their tried and true routes. So we’ve narrowed it down to our absolute favorites on paved cement for easy weekend adventures or new cycling excursions. If you love to race down curbs through redwood groves, this one is for you. But remember: to go down, one must first go up. The first three miles of this ride are basically a vertical climb while the next three go straight down. Then you’ve got one more climb, though this is not continuously steep before another downhill takes you back home. Luckily, the beauty of the surrounding redwood groves and sweeping ocean views of Marin County will distract you from the burning in your legs. This is a visitor favorite for all you novice bikers out there. You can really start anywhere along the Embarcadero – make it longer and start at Oracle (formerly AT&T) Park or make it shorter and start at the Marina Green. Either way, you’ll be able to soak in bay views of Alcatraz and find your way over the Golden Gate Bridge. The ride ends in downtown Sausalito, but we suggest you bike a little bit further to Bar Bocce where you can lounge on the grass and sip wine as your reward for breaking a sweat. Those still hankering for more can ride back over the bridge and those who are wiped out can take the ferry back to the Ferry Building. There are a lot of trails to explore in Golden Gate Park, but the easiest route is to ride down John F. Kennedy Drive—the top half of which is closed to cars on weekends—until you’re nearly to the beach and then loop back up Martin Luther King Drive. But this is your bike ride, so feel free to weave in and out of the dirt paths that freckle the park. Just make sure to watch out for pedestrians and try not to get too lost in the bush. This paved path runs through twelve cities for a whopping 32 miles (and when finally completed, will run for 55) but it is almost entirely flat. The trail weaves through rural residential areas and urban centers alike so there will be times where there’s not another soul in a sight and at other times the trail will be packed with families out for a pleasant weekend ride. Our advice? Make it a weekday ride if you can or just avoid the middle of the trail. Starting at either end—either Concord or Livermore—will give you plenty of scenic coasting without the crowds. 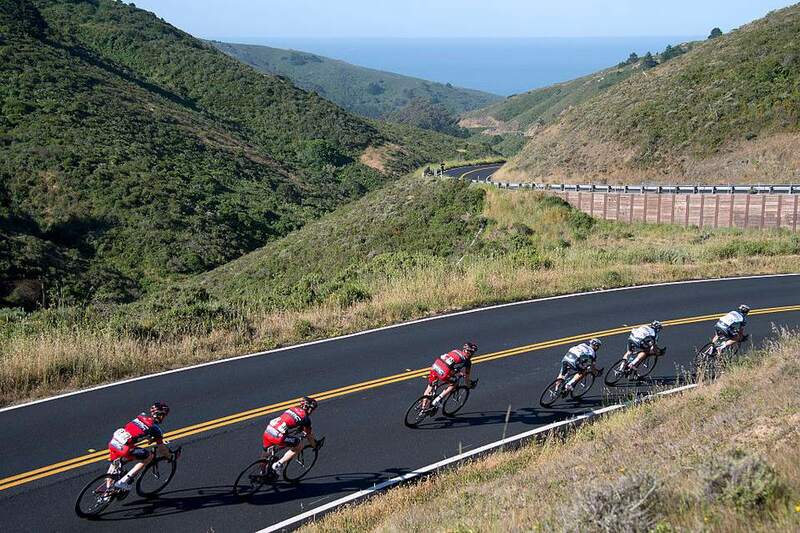 Park your car in the recreation area of this East Bay gem to start this ride and get ready for a beautiful, if somewhat grueling, ride. If you’d rather get the pain over with early in the right, head left onto Bear Creek Road for a hefty 900-foot climb. Or if you like to build up to your burn, head right down San Pablo Dam Road and skirt the reservoir’s edge the whole way around. Either way, it’s a loop, so you’ll be climbing some hills at some point but the road on the backside of the reservoir is nearly deserted and absolutely beautiful so it’s worth the burn. Start Point: 950 Skyline Blvd. This mostly shaded trail in the Northern Santa Cruz Mountains is a favorite spot for weekend warriors, as it’s got it all: views of the San Andreas Reservoir, a historic miner’s camp, and the Upper Crystal Springs Reservoir. Much like the Iron Horse Trail, this is a favorite amongst the 9 to 5 crowd during their time off, so try and make your long ride an early morning one or come by midweek when it’s just you and the distance runners.